Listening- I’m enjoying a little quiet time with my little man. He is watching cartoons and I am by the fire with my beloved coffee and Mac. Pure bliss. Loving- I feel like this was a long week. There is so much going on at our school, report cards, etc that it is a bit overwhelming. But, spring break is almost here and I will truly be able to enjoy it. 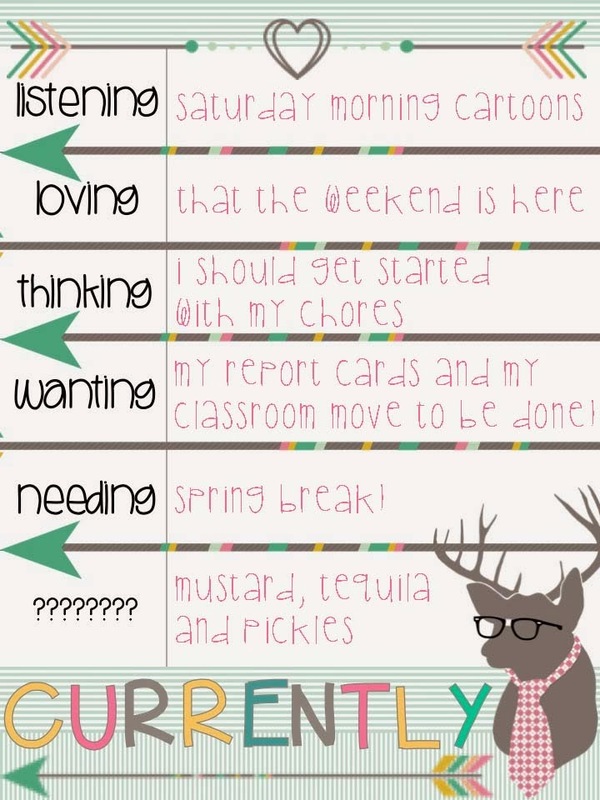 Thinking- I was gone last weekend and so I didn’t get to do my normal weekend chores. I left the boys (my hubby and son) home and they just don’t seem to get to my chores…hmm. Oh well, being away last weekend was well worth it. My grade level team and I were selected to attend a teacher open house at the Monterey Bay Aquarium. We left early Saturday morning because it is a 4-1/2 drive from where we live. We stopped at some outlets for round 1 of shopping and found these beauties at the Converse outlet. They had them in all of our sizes, so were are set for Monday. After a some shopping, we finished our drive to Monterey. We shopped around the wharf and Cannery row, ate clam chowder (twice), saw a pod of whales swimming while eating clam chowder, and had some great laughs. It was a great day, and only the beginning. We entered the aquarium after closing and were able to enjoy it without the crowds. If you have every been there, you will know how nice that is because it gets really crowded. We set up our airbeds and sleeping bags right in front of the jellyfish. It was a truly amazing experience. Wanting- You have heard me talk a lot lately about “the move.” Our school was awarded a grant to rebuild our school. This has been in the works for eight years and it is finally happening. We are the oldest elementary school in our city and it shows, LOL. So long story short, every classroom is having to move once or twice to accommodate the demolition and rebuilding of our new school. It will be so worth the hassle once were have our new school in August. In the meantime, I have four days left in my classroom and to get report cards done. I can do it! Packing is getting close to being done and report cards are half way done. Luckily our school has movers to do the heavy work! Needing- spring break! Two more weeks and then I can relax, so excited! ??? ?- Can you guess what my question is? Is your question – What are things that make me sick? I can't stand pickles & mustard is on my "ick" list as well. Love the Converse outlet! My daughter got some Dr. Seuss Cons a couple years ago. They didn't have my size. I was going to guess your question is "what are my least favorite foods/beverages?" I never eat mustard and I hate Tequila. I do like a good pickle once in a while though! Those shoes are perfect! What an awesome find! And for your question . . . You love hot dogs and margaritas??? Hahaha! !